It's colds and flu season, and as any parent knows, colds and flu spread like wildfire, especially through schools. New research using human-networking theory may give a clearer picture of just how, exactly, infectious diseases such as the common cold, influenza, whooping cough and SARS can spread through a closed group of people, and even through populations at large. With the help of 788 volunteers at a high school, Marcel Salathé, a biologist at Penn State University, developed a new technique to count the number of possible disease-spreading events that occur in a typical day. This results are published in the journal Proceedings of the National Academy of Sciences. The research was funded by the National Science Foundation (NSF) and the National Institutes of Health (NIH). "Contact networks, which are shaped by social and cultural processes, are keys to the spread of information and infection," says Deborah Winslow, NSF program director for cultural anthropology and the ecology of infectious diseases. "Before this research, the study of contact networks had been hampered by the lack of good data on their formation and structure." "This setting proved a closed population in which the whole network could be determined. By collecting real-time network data, the researchers improved significantly on the usual error-prone techniques that depend on asking informants to recall their interactions." Every day people come into contact with many other people; their interactions vary in length; and each contact is an opportunity for a disease to spread, Salathé said. "But it's not like you can take a poll and ask people, 'How many different people have breathed on you today, and for how long?' We knew we had to figure out the number of person-to-person contacts systematically." Using a population of high-school students, teachers and staff members as a model for a closed group of people, Salathé and his team designed a method to count how many times possible disease-spreading interactions occurred during a typical day. Volunteers were asked to spend one school day wearing matchbox-sized sensor devices--called motes--on lanyards around their necks. Like a cell phone, each mote was equipped with its own unique tracking number, and each mote was programmed to send and receive radio signals at 20-second intervals to record the presence of other nearby motes. Volunteers then were asked to go about their day by attending classes, walking through the halls, and chatting with other people. At the end of the day, Salathé's team collected the motes and recorded how many mote-to-mote interactions had occurred, and how long each interaction had lasted. "An interaction isn't necessarily a conversation," Salathé said. "Even when people aren't talking, they might be sneezing and coughing in each other's direction, bumping into each other, and passing around pathogens." To record even these non-conversational events--any kind of spatial closeness that would be enough to spread a contagious disease--each mote used a 3-meter maximum signaling range, extending outward from the front of the person's body. Defining a single interaction as any 20-second or longer event of mote-to-mote proximity, Salathé and his team found that the total number of close-proximity events was 762,868. "The same two people may have had many very brief interactions," Salathé said. "Still, we have to count each brief interaction individually, even between the same two people." "From a pathogen's point of view, each interaction is another chance to jump from person to person." In addition, the team found peaks of interactions at times between classes, not surprisingly, when mote-wearing volunteers were physically closer to one another, moving around in the halls on their way to the next class. Salathé and his team found that, at the end of the day, most people had experienced a fairly high number of person-to-person interactions, but they also found very little variation among individuals. Strikingly, they did not find any individuals who had an extraordinarily high number of contacts when compared with the rest of the group. Such individuals--called super-spreaders--are known to be very important in the dynamics of disease spread. "For example, in sexual-contact networks, one often finds a group of people with a much higher potential to contract and spread a virus such as HIV," Salathé said. "This potential is due to these individuals' extremely high number of interactions. But in our experiment, while there may have been kids with a few more interaction events, for the most part, everyone had about the same high level of interaction." 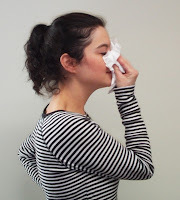 Salathé explained that while schools may indeed be "hot beds" for colds and the flu, individual students do not seem to vary with regard to exposure risk due to their contact patterns. Data from the motes also confirmed an important social-networking theory--that contact events are not random because many "closed triangles" exist within a community. "If person A has contact with person B, and person B has contact with person C, chances are that persons A and C also have contact with each other," Salathé said. "Real data illustrating these triangles provide just one more piece of information to help us track how a disease actually spreads." Salathé also said that networking data such as his may help guide public-health initiatives such as vaccination strategies and prevention education. From southern Africa's pineapple lily to Western Australia's swamp bottlebrush, flowering plants are everywhere. Also called angiosperms, they make up 90 percent of all land-based, plant life. New research published in the Proceedings of the National Academy of Sciences provides new insights into their genetic origin, an evolutionary innovation that quickly gave rise to many diverse flowering plants more than 130 million years ago. Moreover, a flower with genetic programming similar to a water lily may have started it all. "Water lilies and avocado flowers are essentially 'genetic fossils' still carrying genetic instructions that would have allowed the transformation of gymnosperm cones into flowers," said biologist Doug Soltis, co-lead researcher at the University of Florida in Gainesville. 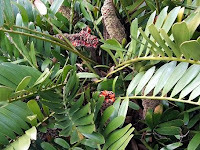 Gymnosperms are a group of seed-bearing plants that include conifers and cycads that produce "cones" as reproductive structures, one example being the well-known pine cone. "We show how the first flowering plants evolved from pre-existing genetic programs found in gymnosperm cones and then developed into the diversity of flowering plants we see today," he said. "A genetic program in the gymnosperm cone was modified to make the first flower." But, herein is the riddle. How can flowers that contain both male and female parts develop from plants that produce cones when individual cones are either male or female? The solution, say researchers, is that a male gymnosperm cone has almost everything a flower has in terms of its genetic wiring. Somehow a genetic change took place allowing a male cone to produce female organs as well--and, perhaps more importantly, allowed it to produce showy petal-like organs that enticed new interactions with pollination agents such as bees. Analyzing genetic information encoded in a diverse array of evolutionarily distant flowers--water lily, avocado, California poppy and a small flowering plant frequently used by scientists as a model, Arabidopsis--researchers discovered support for the single cone theory. A non-flowering seed plant, a cycad named Zamia, which makes pine cone-like structures instead of flowers, was also examined in the study. 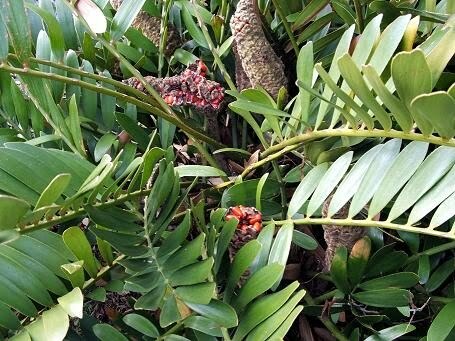 "We extracted an essential genetic material, RNA, from the flowers' specific floral organs and in the case of Zamia, its cones, to see which genes were active," said co-lead investigator Pam Soltis, a curator at the Florida Museum of Natural History and an evolutionary geneticist at the University of Florida. Researchers then compared the organs' profiles to a range of species representing ancient and more recent lineages of flowering plants. "This comparison allowed us to see aspects of the floral genetic program that are shared with gymnosperms, where they came from and also which aspects are shared among different groups of flowering plants and which differ," she explained. The flowers of most angiosperms have four distinct organs: sepals, typically green; petals, typically colorful; stamens, male organs that produce pollen; and carpels, female organs that produce eggs. However, the flowers of more ancient lineages of angiosperms have organs that intergrade, or merge into one another through a gradual series of evolutionary reforms. For example, a stamen of a water lily produces pollen but it may also be petal-like and colorful and there is often no distinction between sepals and petals--instead, early flowers have organs called tepals. The research team found a very significant degree of genetic overlap among intergrading floral organs in water lilies and avocado but less overlap in poppy and Arabidopsis. "In other words, the boundaries between the floral organs are not all that sharp in the early angiosperm groups-the organs are still being sorted out in a sense," said Doug Soltis. The finding challenged researcher expectations that each floral organ in early angiosperms would have a unique set of genetic instructions as is the case in the evolutionarily derived Arabidopsis. Instead, the finding increased the likelihood that a single male cone was responsible for the world's first flowering plants owing to the elasticity of their genetic structure. "In early flowers, a stamen is not much different genetically speaking than a tepal," said Doug Soltis. "The clearly distinct floral organs we all know and love today came later in flowering plant evolution--not immediately." Researchers say better understanding of these genetic switches in early angiosperm flowers could one day help scientists in other disciplines such as medicine or agriculture. Seeing bad things happen to other people is scary. One way to respond to this is to blame the victim—to look for some reason why it happened to them. But there’s another common response, according to a new study published in Psychological Science, a journal of the Association for Psychological Science. The researchers found that people who believe in justice in the world also believe that a tragedy gives the victim’s life more meaning. “A lot of the time when people see someone else suffering, and helping them isn’t an option, people will instead justify the fact that something is negative is happening to them. Because it’s scary for something negative to happen to a good person—that means it could happen to you,” says Joanna E. Anderson of the University of Waterloo, who cowrote the study with her colleagues Aaron C. Kay and Gráinne M. Fitzsimons. Anderson suspected that there was another way to feel better about someone else’s tragic experience: to believe that the negative experience is balanced by positive outcomes. In an experiment, volunteers read a scenario in which someone was injured playing soccer in high school. The soccer player ends up with a broken leg, has back problems, undergoes multiple surgeries, and can’t go to school with their peers. Everything is resolved by the end of high school; in the scenario, the person is now happily married and is thinking about starting a family. Each volunteer also filled out a survey that determined how strong their “justice motive” is—their need to see the world as just or fair. Then they were asked how much meaning they think the person’s life has. People who had a strong need to see the world as just were more likely to say that a victim’s life is meaningful as opposed to the life of a person who hasn’t experienced a tragedy. This also held true in another experiment, in which the researchers manipulated the participants’ feelings about justice by having them read an article about how CEOs make a lot of money, but are hired because of personal connections rather than merit. The people who’d read about undeserving CEOs had a stronger justice motive and were more likely to see the injured soccer player’s later life as meaningful. Scientists have found a way of deterring litterbugs, in an experiment which could also aid the fight against other anti-social behaviour. Researchers at Newcastle University alternated hanging posters of staring human faces and posters of flowers on the walls of a cafe. They then counted the number of people who cleaned their plates and rubbish away after finishing their meal in both situations. In a paper, which is published online in the American journal Evolution and Human Behavior, the research team, lead by Dr Melissa Bateson and Dr Daniel Nettle of the Centre for Behaviour and Evolution, describe their findings. During periods when the posters of faces were on the walls, watching over the diners, twice as many people cleaned up, compared to the periods when the pictures of flowers were overlooking the diners, when more litter was left for cafe workers to clear away. In a previous study in 2006 the same scientists looked at the impact of images of eyes on contributions to an honesty box in a tea room. They found that people put nearly three times more money in the box when there were eyes compared with flowers. For this follow-on experiment, psychology student, Max Ernest-Jones, eager to explore whether the honesty box findings would extend to other forms of cooperation, spent many hours sitting inconspicuously in the corner of the café recording customers’ littering behaviour. Dr Bateson, who led the research, said: “These findings reinforce the conclusion from our previous research, that the presence of eye images can encourage co-operative behaviour. We think that the images of eyes work by making people feel watched. We care what other people think about us, and hence we behave better when we feel we are being observed. “We found that the impact of the posters was a lot greater at times when the cafe was quiet. This makes total sense, because we would expect real people to have the greatest effect on the feeling of being watched and hence swamp the effect of the posters during busy times. The study is based on the theory of ‘nudge psychology’ which suggests that people may behave better if the best option in a given situation is highlighted for them, but all other options are still left open, so the person isn’t forced into one particular action. In effect you ‘nudge’ people into doing the right thing. Dr Bateson added: “This study confirms that the display of images of eyes has broad potential as a ‘nudge’, not just because eyes grab attention, but because of more fundamental connections between the feeling of being watched and cooperative behaviour. Prices for gold are at seemingly unworldly highs these days, and maybe that's fitting in light of a new study that says almost all the gold we humans hold so dear was likely delivered to Earth by massive planetoids that crashed into our planet late in its formation some 4.5 billion years ago. Published in the journal Science, the findings provide weighty new evidence that the gold, platinum, palladium and other iron-loving elements found in the crusts and mantles of Earth, the Moon and Mars arrived on mini-planet-sized impactors during the final phase of planet formation in our solar system. These massive collisions occurred within tens of millions of years after the even bigger impact that produced our Moon, say the authors, a team of researchers from the University of Maryland, the Southwest Research Institute, the Massachusetts Institute of Technology, and the Scripps Institution of Oceanography. "Our understanding of the formation of Earth and other planets with iron cores and silicate mantles suggests that iron-loving elements are pulled into the planet cores as they form," said University of Maryland Geology Professor Richard Walker, one of the authors of the new study. "Thus, we should have an Earth that essentially has no gold or other iron-loving metal ores in its crust for us to mine." The fact that we do, Walker said, has long suggested that something must have happened to bring new iron-loving elements to Earth after completion of the separation of the metallic core and silicate mantle. What scientists didn't know until now was whether this late accretion of material occurred in big chunks over a relatively short period of time or as a 'rain' of smaller pieces of material over a longer time. To determine the answer, Walker and colleagues James Day of the University of Maryland and the Scripps Institution of Oceanography, William Bottke and David Nesvorny from the Southwest Research Institute and Linda Elkins-Tanton from MIT, used numerical models to see what size objects would best match the needed criteria. 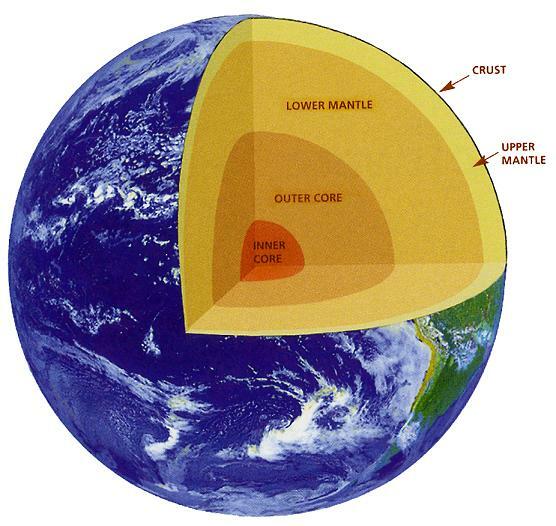 These criteria included (1) providing right amount of iron-loving metals to the Earth, Moon and Mars; (2) being large enough to breach the crusts and mantles of these bodies, creating local molten rock ponds from their impact energy and efficiently mixing into the mantle; (3) not being so large as to cause a fragmenting and reformation of the planet cores. The latter would have resulted in most of the newly added iron-loving elements being pulled down into the cores as well. The researchers showed that they could best reproduce these results if the late accretion population was dominated by a very limited number of massive projectiles. Their results indicate the largest Earth impactor was 1500-2000 miles in diameter, roughly the size of Pluto, while those hitting the Moon were only 150-200 miles across. "These impactors are thought to be large enough to produce the observed enrichments in highly siderophile [iron-loving] elements, but not so large that their fragmented cores joined with the planet's core," said Southwest Research Institute's Bottke, who was the lead author of the Science paper. The team also reports that their predicted projectile sizes also are consistent with physical evidence such as the size distributions of today's asteroids and of ancient Martian impact scars. People will gain significantly less weight by middle age – especially women – if they engage in moderate to vigorous activity nearly every day of the week starting as young adults, according to new Northwestern Medicine research. Women particularly benefitted from high activity over 20 years, gaining an average of 13 pounds less than those with low activity; while men with high activity gained about 6 pounds less than their low-activity peers. High activity included recreational exercise such as basketball, running, brisk walking or an exercise class or daily activities such as housework or construction work. In addition, men in the high-activity group compensated by eating more than their low-activity counterparts, which could have led to more weight gain. The highly active women didn’t eat more than low-activity women in the study. There were many ways to achieve the study’s definition of high-activity levels, Hankinson noted. One way was 150 minutes of moderate to vigorous activity a week. The study participants -- 1,800 women and nearly 1,700 men — are part of the Coronary Artery Risk Development in Young Adults (CARDIA) Study, a multi-center, longitudinal and population-based observational study designed to describe the development of risk factors for coronary heart disease in young black and white adults. Hankinson’s research is the first to measure the impact of high activity over 20 years between young adulthood and middle age and to frequently examine participants (seven times) over that period. Study participants are more likely to remember and accurately report their behavior with regular exams, she said. Previous studies, Hankinson said, looked at a single exercise intervention’s effect on weight for a short period of time or examined participants in longer studies at only two points in time -– the beginning and the end. “The study reinforces that everyone needs to make regular activity part of their lifestyles throughout their lives,” she said. “Not many people actually do that.” The active group in the study comprised only 12 percent of the participants. Lower levels of activity had a negligible effect on weight gain in the study. “High activity was the only kind that made a significant difference,” Hankinson noted. Eating while playing a computer game or simply working through lunch could increase your food intake later in the day. Researchers from the Nutrition and Behaviour Unit in the School of Experimental Psychology have been exploring ways in which memory and attention influence our appetite and food intake. In a recent study they assessed the effect of eating while playing a computer game. Participants were split into two groups. One group ate a lunch that comprised nine different foods while playing ‘Solitaire’ – a computerised card-sorting game. The second group ate the same lunch, but without distraction. The researchers found that participants who played Solitaire felt less full after lunch. Moreover, the effects of distraction were long lasting. Thirty minutes later, the distracted participants ate around twice as many snacks as did non-distracted participants. Finally, at the end of the test session, the participants tried to remember the food items that they had been given for lunch. Distracted participants had a poorer memory. Together, these findings highlight an important role for memory of recent eating and they show that distraction can lead to increased food intake later in the day. Previously, similar observations have been made in people who eat while watching TV. This study extends these findings by showing how other ‘screen-time activities’ can influence our food intake in unexpected ways. This is important, because it reveals another mechanism by which sedentary screen-time activities might promote obesity. Scientists from all over the world are taking a second, more expansive, look at the car-sized asteroid that exploded over Sudan's Nubian Desert in 2008. Initial research was focused on classifying the meteorite fragments that were collected two to five months after they were strewn across the desert and tracked by NASA's Near Earth Object astronomical network. Now in a series of 20 papers for a special double issue of the journal Meteoritics and Planetary Science, published on December 15, researchers have expanded their work to demonstrate the diversity of these fragments, with major implications for the meteorite's origin. In the first round of research, Carnegie Geophysical scientist Doug Rumble, in collaboration with Muawia Shaddad of the University of Khartoum, examined one fragment of the asteroid, called 2008 TC3, and determined that it fell into a very rare category of meteorite called ureilites. Ureilites have a very different composition from most other meteorites. It has been suggested that all members of this meteoric family might have originated from the same source, called the ureilite parent body, which could have been a proto-planet. Now Rumble has expanded his work to examine 11 meteorite fragments, focusing on the presence of oxygen isotopes. Isotopes are atoms of the same element that have extra neutrons in their nuclei. Rumble explains: "Oxygen isotopes can be used to identify the meteorite's parent body and determine whether all the fragments indeed came from the same source. Each parent body of meteorites in the Solar System, including the Moon, Mars, and the large asteroid Vesta, has a distinctive signature of oxygen isotopes that can be recognized even when other factors, such as chemical composition and type of rock, are different." Rumble and his team prepped tiny crumbs of these 11 meteorite fragments and loaded them into a reaction chamber where they were heated with a laser and underwent chemical reactions to release oxygen and then used another device, called a mass spectrometer, to measure the concentrations of these oxygen isotopes. Results showed that the full range of oxygen isotopes known to be present in ureilites were also present in the studied fragments. "It was already known that the fragments in the Nubian Desert came from the same asteroid. Taking that into account, these new results demonstrate that the asteroid’s source, the ureilite parent body, also had a diversity of oxygen isotopes," says Rumble. The diversity of oxygen isotopes found in ureilites probably arises from the circumstances of the parent this body's formation. Rumble theorizes that the rock components of this parent body were heated to the point of melting and then cooled into crystals so quickly that the oxygen isotopes present could not come to an equilibrium distribution throughout. Together the collection of 20 papers published in Meteoritics and Planetary Science offer enormous insight about the formation and composition of ureilites and their hypothesized parent body. Researchers at the Institut Pasteur in association with the CNRS have just shown, in an experimental model, that newly formed neurons in the adult brain can be stimulated by light. A novel technique associating optical and genetic tools allows neurobiologists to render neo-neurons photo-excitable. For the first time they have prompted, observed, and specifically recorded the activity of these new nerve cells in the olfactory system. Using this technique the scientists have revealed the nature of signals emitted from new neurons across neuronal circuits in the brain. This work represents an essential step towards better understanding the role of new nerve cells and in developing therapeutic applications, most notably in the realm of neurodegenerative diseases. 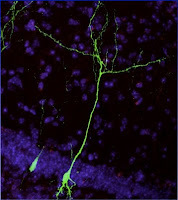 Pierre-Marie Lledo and his team in the Perception and Memory unit at the Institut Pasteur (CNRS, URA 2182) have just shown, for the first time in an animal model, the possibility of using light to stimulate and specifically study new neurons which form in the adult brain. Until now the existing methods of stimulation did not permit this. Electrical stimulation affects all cells without discrimination and chemical stimulation concerns only neurons mature enough to have surface receptors for active molecules. By introducing and inducing expression of photo-sensitive proteins in new neurons, the scientists have been able to control their activity with the use of luminescent flashes. Using this technique, researchers at the Institut Pasteur and the CNRS have been able to observe, stimulate, and specifically record the activity of new nerve cells. They have brought proof that new neurons formed in the olfactory bulb of the adult brain are integrated into preexisting nervous circuits. They have also shown that, against all expectations, the number of contacts between young cells and their target cells greatly increased over several months. This work constitutes an essential step in characterizing the functions fulfilled by new neurons. 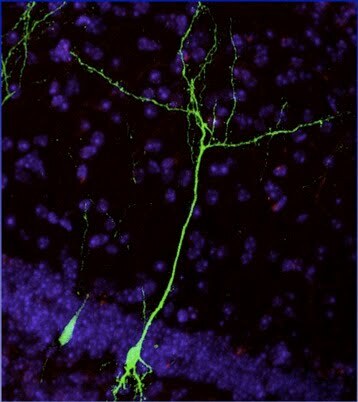 It opens new avenues to investigation for understanding the connectivity between “newly formed” neurons and their host circuits. This is a crucial step on the way to foreseeing the use of stem cells within the framework of new therapeutic protocols for repairing brain damage, notably in the realm of neurodegenerative diseases.